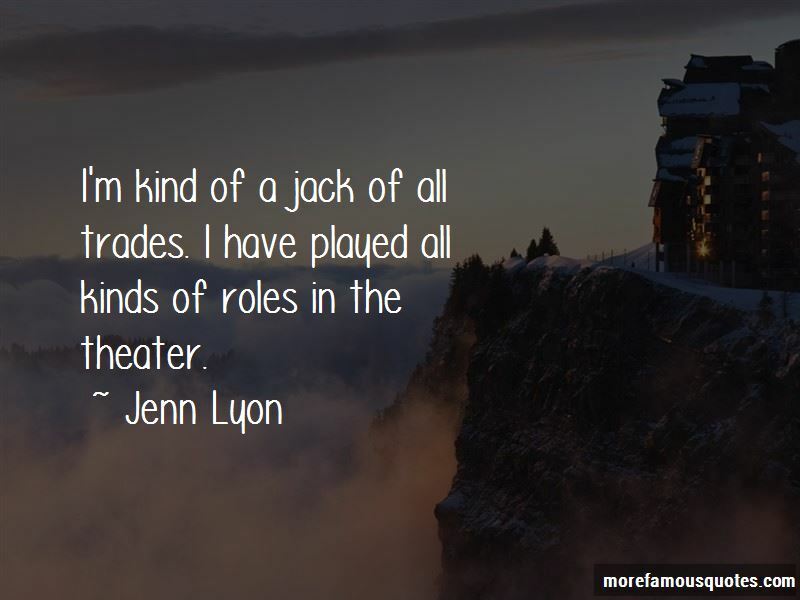 Enjoy the top 6 famous quotes, sayings and quotations by Jenn Lyon. I'm kind of a jack of all trades. I have played all kinds of roles in the theater. Larry David is such an incredible talent. My goal was simply to be a working actress. I never imagined myself on Broadway. 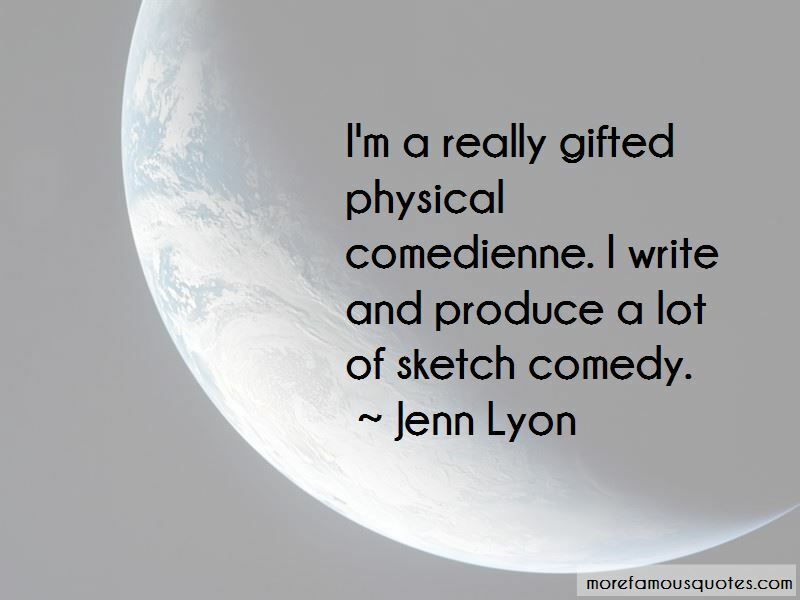 Want to see more pictures of Jenn Lyon quotes? Click on image of Jenn Lyon quotes to view full size. “This, it seems to me, is the most devastating weapon of all in a womans arsenal. If you can encourage the man to” — Anonymous.